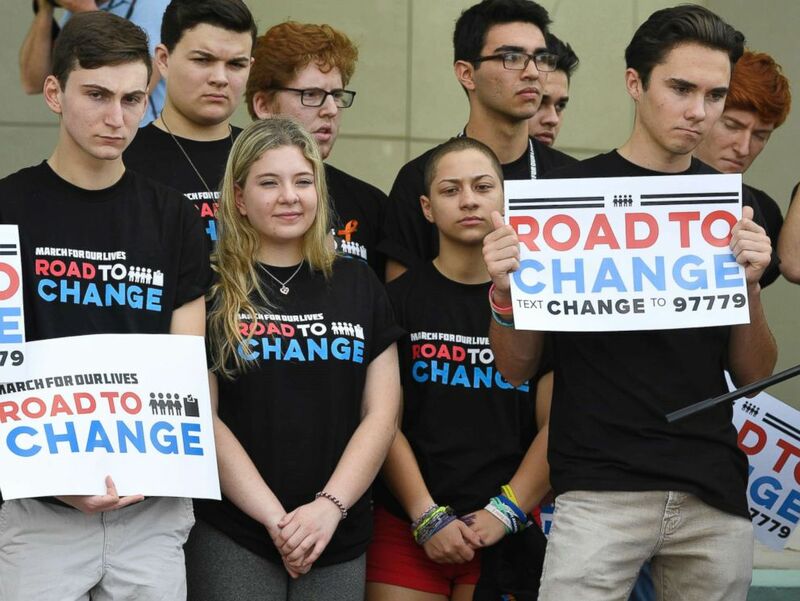 One day after graduating from Marjory Stoneman Douglas High School, students behind the "March for Our Lives" movement announced Monday they would take their youth voter turnout initiative on the road. This new initiative includes a two-month tour called “March for Our Lives: Road to Change” that will encourage young people to register and vote in the upcoming midterm elections. 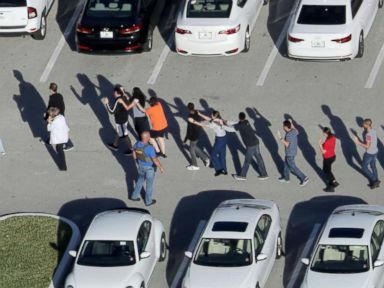 "I think that a lot of politicians out there do not want a lot of young people voting," Cameron Kasky, a Stoneman Douglas graduate, said at a news conference Monday morning. 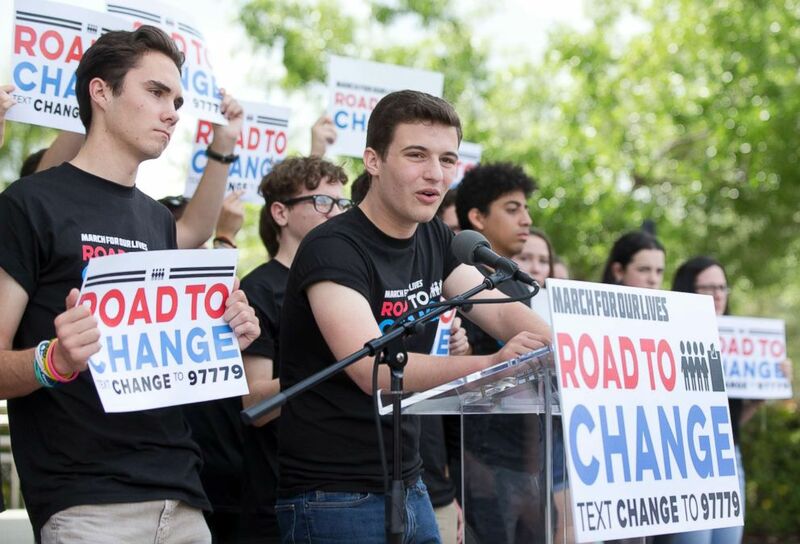 Cameron Kasky, center, speaks during a news conference, June 4, 2018, in Parkland, Fla.
"We can fix the political system," Kasky said, adding that his generation can help "change the game" without surrendering to "dirty, awful politics." 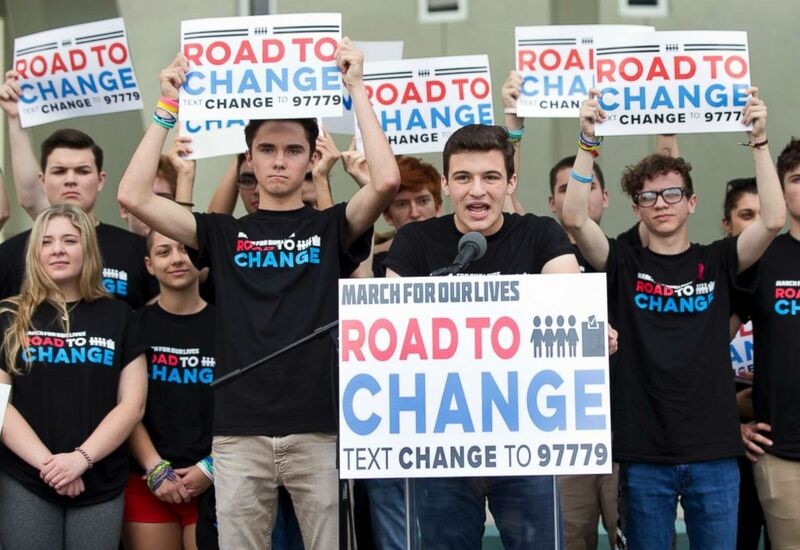 In the wake of the Valentine's Day mass shooting at Stoneman Douglas that killed 17 students and staff, students including Kasky, Emma Gonzalez and David Hogg organized a youth-led movement to push for gun reform that spread nationwide. The largest event so far was the March 24 March for Our Lives rally which took place in Washington, D.C., and cities throughout the nation. 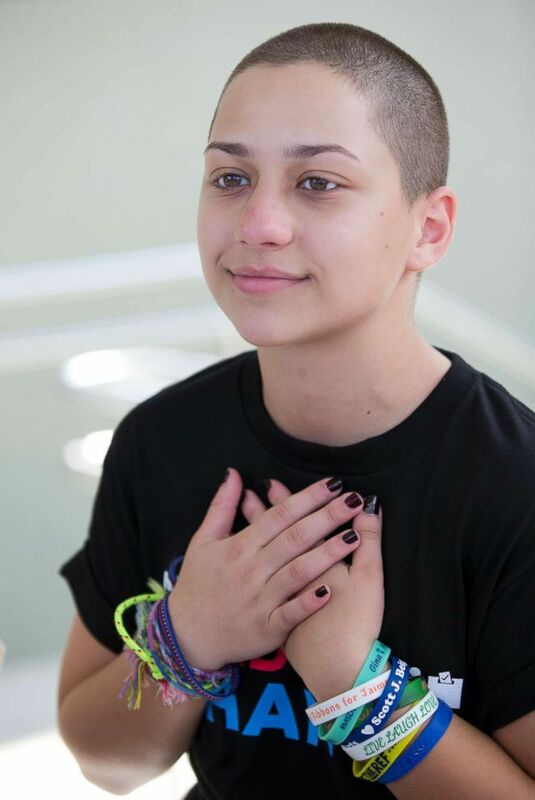 Emma Gonzalez pauses during an interview, June 4, 2018, in Parkland, Fla.
"Over the summer we're going to key congressional districts ... we're basically trying to promote the largest youth voter turnout ever in the history of the United States," Hogg told ABC News' "Nightline." "And making sure the kids that are affected by this most are able to vote on these issues." Hogg, who is taking a gap year before college, plans to spend his entire summer traveling to boost voter turnout among young people and focus on issues he believes all Americans can identify with. “The best way to prevent so many bad things is well-educated voting,” he added. “We have to make sure that the people that are in power that refuse to take action on this are no longer in power."